TALS provides continuing legal education (CLE) training sessions throughout the year to help meet our mission of educating advocates about civil legal issues. April 26, 2019 * Please note this CLE does NOT take place at the TALS office, details below. The training will be held at Mental Health Cooperative located in Metro Center at 275 Cumberland Bend, Conference Room 109A, Nashville, TN 37228. MHC is located down the street from the TALS office. Lunch is included and parking at MHC is free. All posted times are central standard time. If you have any questions, please contact Jacquie Telfer at jacquie@stewartclifton.com. This session will review the appeal process, direct advocates to helpful forms, discuss relevant topics such as involuntary transfers pending an appeal and return of residents to nursing homes from hospitalization, as well as review relevant legal authority. Presenters: Audrey Dorrough Seamon, TennCare, and Lauren Meeker, Tennessee Commission on Aging and Disability. This session will address specific barriers to eligibility and enrollment in the Supplemental Nutrition Assistance Program, also known as food stamps, experienced by the following client populations: immigrant and mixed-status individuals and households, older adults, formerly incarcerated persons, and survivors of domestic violence and their families. The session will provide advocacy strategies for assisting these clients in navigating the SNAP application process. Presenters: Mary Grace Stoneking, Legal Aid Society of Middle TN, and Cassaundra Lockridge TN Justice Center. This one-hour session will cover the incentive structures currently available to SSDI participants who engage in work activities (including trial work period, extended periods of eligibility, and expedited reinstatement) along with common pitfalls experienced by those working while receiving benefits. The session will also cover general programmatic updates for Social Security practitioners. Presenter: Beth Bates, West TN Legal Services. In this one-hour session, staff of the Tennessee Justice Center will provide an overview of proposed regulations and legislation and pending litigation at both the state and federal level concerning Medicaid and SNAP eligibility and enrollment criteria. Presenters: Chris Coleman and Signe Anderson, TN Justice Center. The Tennessee Bar Association provides several resources for those providing CLE training. Visit the CLE Faculty Guide to see these useful resources. These trainings are generally a partial or full day in duration, and are often available through our online training software for viewing after the event. Some events are also simulcast on the Internet for viewing during the training. For additional information about upcoming or previous trainings, please contact TALS' Executive Director Ann Pruitt. 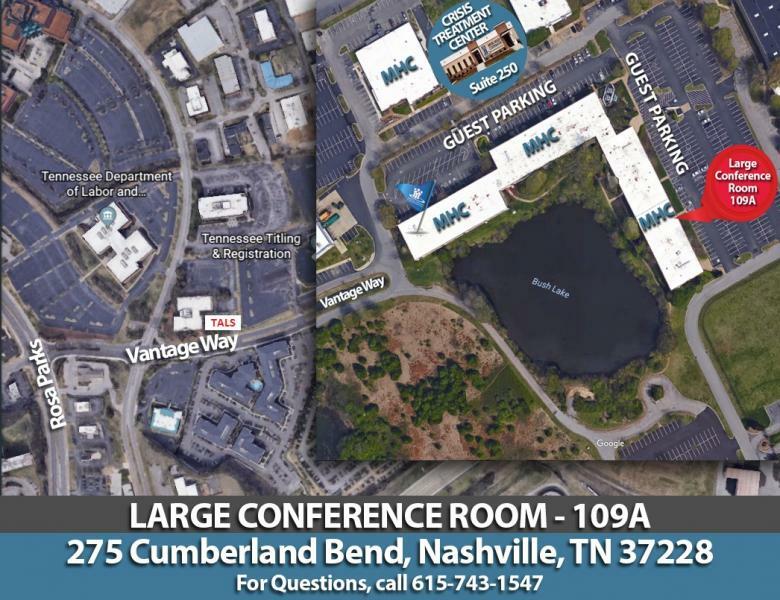 All trainings are at TALS' office (50 Vantage Way, Suite 250, Nashville, TN 37228) unless otherwise indiciated. Lunches are provided with training fees, as applicable. Parking at TALS is free in all lots touching the 50 Vantage Way parking lot. All posted times are central standard time.